To all my precious Rebbetzins and to all the good and kosher Daughters of Israel who are publicly sanctifying the name of Hashem. Our Father in Heaven is pleased with you, and the heavenly angels take pride in you. You resemble the Kohen Gadol who wore many beautiful and holy garments for the honor of Hashem. The Kohen atoned for the sins of Israel with his holy and pure garments, so too it is in our generation; women and precious girls who are wearing clothing for the honor of Hashem such as the shawl and respectable and holy head coverings are atoning for the generation. It's worth it therefore to stay strong in spite of the bit of insult and mocking you may receive for the sake of our Father in Heaven and for the sake of our Holy Torah and for the sake of Tzniut (modesty)! If you could only see what incredible pleasure you are bringing to the Creator of The World you would be as happy as Miriam the prophetess with her drums. Sara Shnirer who was the epitome of modesty and concealment, who was totally faithful and connected to her Father in Heaven, had stones thrown at her because of this. She was not upset; rather she turned to Hashem and said, "With these stones, I will build for Your honor the Beit Yaakov School." So it is the same with you, you holy and precious souls who are so beloved above. You are bringing joy to all the worlds with your modesty, head coverings, shawls, and extra coverings – done for the sake of Heaven with humility and happiness. With this we will build for our Father the righteous women's gallery in the Heavenly Beit Hamikdash. I love you all with all my soul and I pray for you all 24 hours a day. My feet are in Teveria, but my heart is in Yerushalayim the Holy City. Your Tehillim are protecting all of Israel. Waiting every moment for the complete and final redemption, G-d willing. Jewish women aka Jewish daughters need every bit of encouragement this day-and-age. For the darkness is the darkest before the crack-of-dawn! I believe that in Jewish History this is where we are now - on the thresh-hold of the Geula Ha'Shleima. Justg hold on a little longer. Listen out for the 'crowing of the rooster' to announce The Crack of Dawn. The dawn of a new era. Please G-d.
i wasn't insulting at all in my previous comments on this post. now i'll be, a little bit. are you so insecure in your beliefs that you cannot bear to see them so obviously disproven in this manner, that you must delete them? You see, there you go again. I just translated this nice letter which encourages women to try to be more modest, and you are trying to "disprove" me. What's that all about? Don't you have anything better to do with your time? I'llleave this one up just to make you happy, but can you just relax and stop attacking and disproving everything I put up, it's not very nice of you to do that. And yes, I know that you have all your sources and that only you know the real truth, but do you mind chilling out a bit. perhaps if i explain myself a bit, you won't react so negatively. 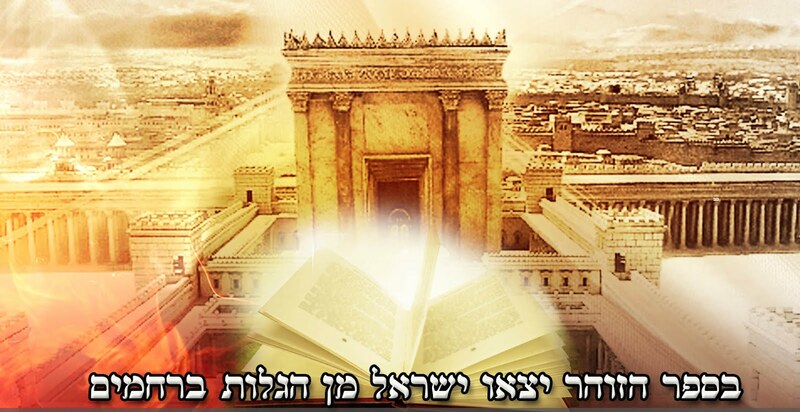 while you may view the items you post (kol koreis) as entirely positive, inspirational, and encouraging, there is also an aspect of motzi laaz (slander) on klal yisrael and on holy bnos yisrael. even here, in this kol korei, it is not just "encouragement", as you put it. look at the title line, which you did not translate, to see some context: "So did our mothers appear. Woe to us, how (low) we have reached!" Besides that it is not historically accurate (see Sarah Shinerer, as an example of a woman who did not wear the shawl they consider obligatory), it is an explicit criticism of those who do not adopt this innovative level of strict modesty. it is saying that all others have deviated and are non-tzniusdik. that is just one problem with this kol korei. i won't even get into the halachic problems with the associated movement. in general, kol koreis are not the way to get accurate information about halacha and about klal yisrael. one should establish a kesher with a rebbe and follow the instructions of his teachers and his community. we don't need to look for other leaders to tell us what to do. Perhaps you'll also leave this one posted up? regardless, i hope i have explained myself more clearly in this comment. I met the Rebetzin exactly a year a go at Rashbi. She made us so happy with her warm words and for being beautiful and Tzenua at the same time. Thank you Rebetzin!